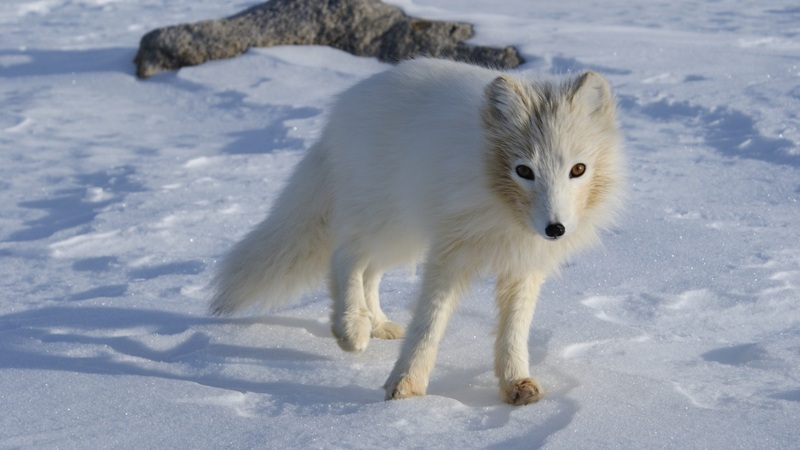 The arctic fox (Vulpes lagopus) is categorised by the IUCN as Least Concern due to its circumpolar distribution in tundra and alpine habitats and a global population of several hundred thousand (IUCN, 2017). However, within Fennoscandia the situation is very different: populations have been at an unsustainable low since the late 1920s. The cause of this is generally agreed to have been intensive hunting in the early part of the 20th century, with a government bounty paid for carcasses along with very high fur prices for pelts (NINA 2004). Legal protection was given to the species in 1928, 1930 and 1940 for Sweden, Norway and Finland respectively but, despite this, populations failed to recover. The few sub-populations that were left were small and fragmented and it’s believed that they had fallen below a critical threshold. External factors that would normally play some part in regulating populations then had a much greater impact on those that remained and two main factors in particular have been attributed to the continued fragility of the population: competition from the red fox (Vulpes vulpes) and changes in lemming (Lemmus lemmus) population dynamics. Arctic foxes are highly adapted to alpine environments and red foxes normally struggle to survive in these challenging regions. However, increased human presence in the mountains and a warming climate have resulted in red foxes expanding their range into areas that were once arctic fox strongholds. Red foxes are much larger and more generalist than arctic foxes and outcompete them for food, and they also take over the dens, widening them and rendering them unusable for arctic foxes. The second problem has been a change in lemming population dynamics. Arctic foxes rely on lemmings as their main food source and populations exhibit peaks and troughs in response to lemming population fluctuations. Lemming populations used to have a cyclic explosion approximately every four years, with a corresponding increase in arctic fox populations but during the 1990s these lemming population peaks ceased to occur, with disastrous consequences for the arctic fox. By the early 2000s it was estimated that only 50 adult arctic foxes remained in Norway (NINA 2004). Plenty of suitable habitat still existed but the remaining wild populations were too small and fragmented to re-colonise it and so a conservation programme was initiated: captive breeding with release into the wild. Drawing on experience from the swift fox captive breeding programme in Canada and Norway’s own expertise in farming arctic foxes for fur, a captive breeding programme was designed which would see small numbers of pups caught from the wild and raised and bred in captivity, with the resultant pups released into the wild each year. The programme began in 2001-2002 with the capture of seven pups from the wild, representing at least four of the extant populations (NINA 2004). The foxes were kept in the same way as they are in the fur farms, but breeding failed to occur and two foxes died. A new plan was devised and in 2005 the Sæterfjellet breeding station was built at Oppdal. This is high up in the mountains, in classic arctic fox habitat. There are eight 0.25 ha enclosures, each of which holds a breeding pair. Artificial dens are provided and the foxes are exposed to very little human contact; someone visits once a day to feed them but no other humans are allowed to approach the cages. 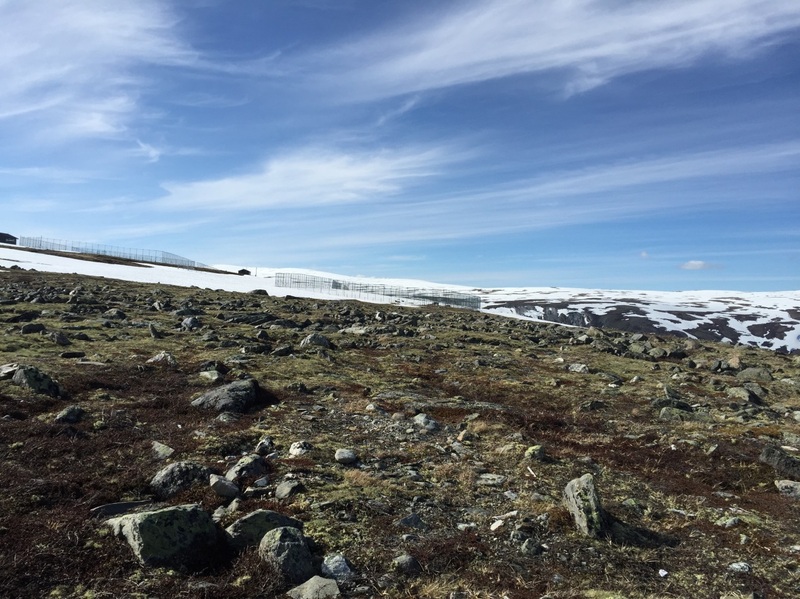 The breeding station at Oppdal – we were not allowed to approach closely so as to minimise human habituation. This new arrangement worked and in 2006 the first breeding occurred with one pair out of five producing a litter. This was followed in 2007 with litters from four pairs. Some pups were kept for breeding and 17 pups were released as a trial when they were 3 months old – the age at which dispersal would naturally occur in the wild (NINA). A soft release method was used, with pups held in holding pens for a few weeks to acclimatise and then released into an artificial den with supplementary food provided post-release. Releases continued each year and in 2010 a real milestone was reached, with the recording of the first wild-born litters. The programme continues today, with 40-60 pups released each year. Post-release monitoring occurs in the form of tracking movements (all foxes are micro-chipped) and recording den site selection and reproductive success. The released foxes have been shown to behave normally and are reoccupying ancestral dens, and range expansion is occurring with foxes now mixing with Swedish populations. Reproductive success has been very good: in 2011 40 litters containing at least 270 cubs were produced nationally in Norway, almost half of which were born to those released as part of the reintroduction programme (NEA). This was followed by 50 litters in 2014 (NEA). In 2016 litter numbers dropped – believed to be due to lower numbers of lemmings, demonstrating that the populations are exhibiting normal cyclic variation. Juvenile survival has been excellent – the project goal was 25%, mimicking that which occurs naturally in the wild, but the survival of released pups has been closer to 50%. The project can be said to have been very successful in that it has demonstrated that it is possible to re-establish arctic fox populations. Today there are known to be 171 adult arctic foxes in Norway, although the figure is believed to be closer to 300. In isolation, however, the reintroduction programme is not enough as overall numbers are still very low and therefore subject to the on-going issues of red fox expansion and lemming fluctuations. 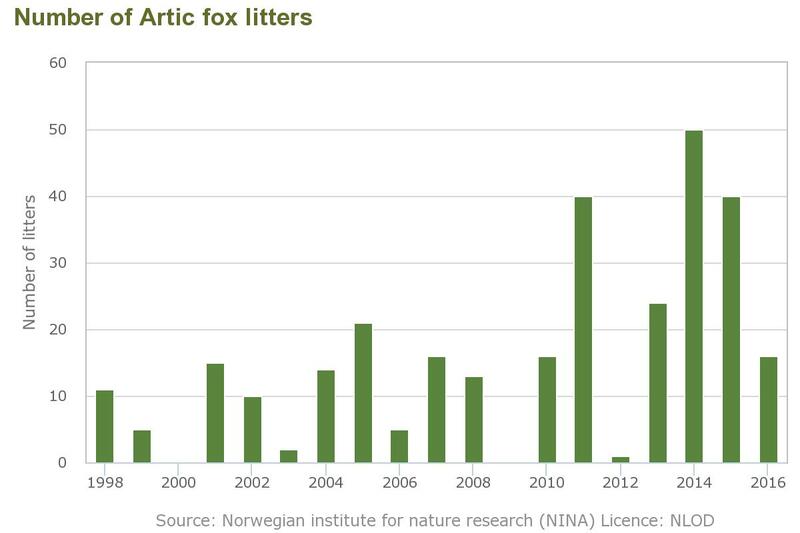 To combat this, a wider management effort exists in Norway and Sweden that includes supplementary feeding of arctic foxes and culling of red foxes. The population is still critically endangered but this programme has provided an excellent demonstration of how recovery can be initiated. I personally found visiting the breeding centre and learning about the programme very interesting as I was able to draw parallels with my own work, which is to reintroduce red squirrels to the Northwest Scottish Highlands. As with the arctic fox-red fox interspecific competition dynamic, our red squirrels are under huge threat from grey squirrels. The key difference is of course that red foxes are native to Norway but grey squirrels are not native to the UK, but the management actions required to conserve the species in question are the same – reintroduction to suitable habitat and control to limit the range of the competing species. I’d like to thank Heidi from NINA for her enthusiasm and willingness to answer my barrage of questions on the day that we visited the breeding centre and wish the project every success for the future. NINA (2004) John D. C. Linnell, Arild Landa, Roy Andersen, Olav Strand, Nina Eide, Jiska van Dijk and Roel May. Captive-breeding, population supplementation and reintroduction as tools to conserve endangered arctic fox populations in Norway: detailed proposal and progress 2001-2004. Oppdragsmelding 825 1-22pp..
NINA: The Norwegian Arctic Fox captive breeding programme – poster.